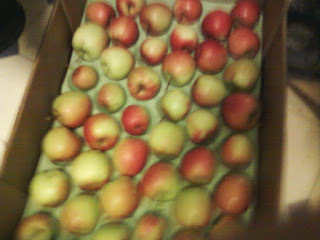 Just stored away one minarette tree worth of apples - at least 70 in all - not bad for a 4 year old tree! 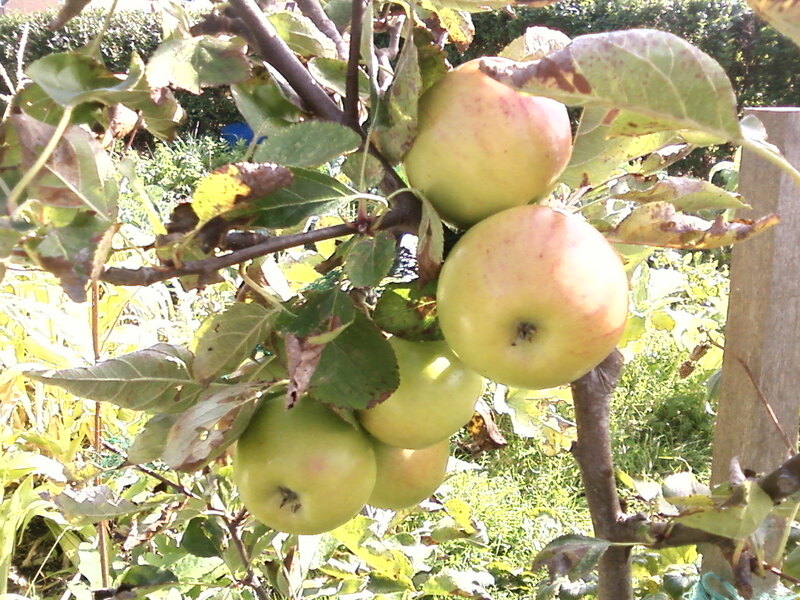 We have three minarette apple trees, the allotments do not allow any large ones, although that doesn't seem to have stopped them growing in some allotments! 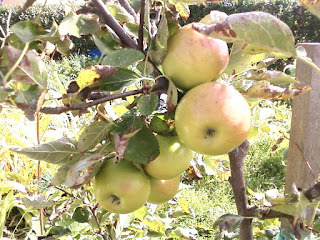 I think it's the problem of removing them if someone gives up, but one allotment has been cleared recently and they left the two big apple trees, so maybe not. Anyway, here's one of the trees, this one and the one next to it seem to be a bit later than the one by the fence, and so some of these aren't quite ready yet, but we've tried one which came off easily and it was alright. 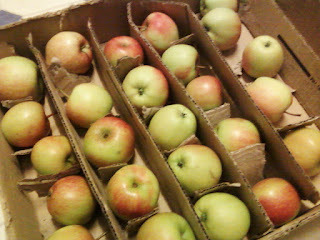 So, I have just spent the evening stroring apples. I need to get some more boxes from the supermarket, I went in one in north Leeds the other day and the assistant looked at me a bit blank when I asked for apple trays and boxes, and went off to get someone else! Happily he did know what I was on about and so I got a big box and some of those dimply cardboard trays. Needs some more though. We should have apples until Christmas all being well, I hope I am storing them correctly, I have left gaps for the air to flow round the apples and not packed them too tightly. They are in our porch where we also store the potatoes and so they should be ok, it's not too cold in that corner.